San Carlos is located aprox. .5 miles east of Hwy 59S at 365 East Beach Blvd in Gulf Shores, AL. San Carlos is direct beachfront, built in 2006. It has 19 floors consisting of 142 two bedroom units of 1228+/- Sq Ft and three bedroom units between 1407-1568+/- Sq Ft. Units ending in 01 are east end corner units and 09 units are west end corner units. 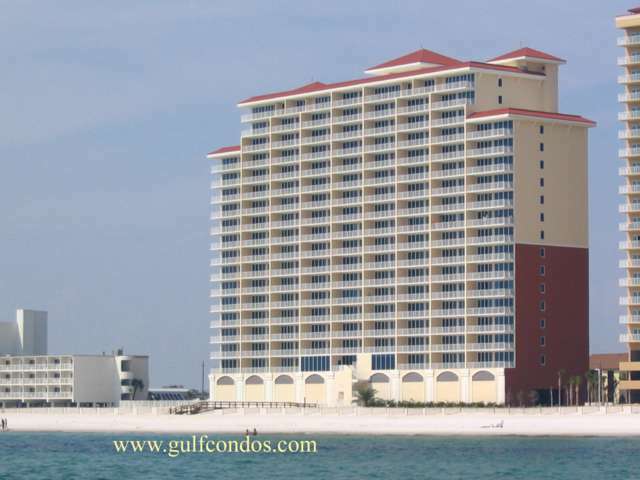 Amenities include: Common Lobby, Exercise Room, Fire Sprinkler System, Steam/sauna, Outdoor Pool, Spa/Hot Tub, Private balcony overlooking the Gulf of Mexico.